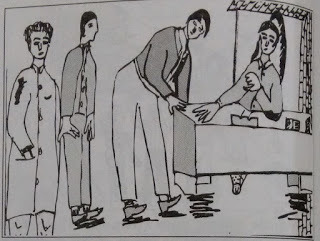 Hello SSB Aspirants, We are updating our TAT section with Sample TAT Stories for better practice of Psychological Test to be conducted in SSB Interview. Most of the aspirants continuously ask about Sample Practice Sets and How to write TAT stories in SSB Interview. We have named this section as PRO TAT section. Your comments are most welcome and we will provide a feedback to improve your stories. As a part of Maharashtra state tourism department annual function there was a boat rowing expedition in Mumbai. The unit of Rohit was given responsibility to organize on the fixed date. A number of VIPs were invited from all over the country. Rohit was looking after the administration including transport of the unit. He had the responsibility to organize the reception, accommodation, transport, general administration and departure in respect of all the VIPs. Rohit made out a chart incorporating all the details, held a conference, and also briefed all about the actions by giving specific responsibility to his men. He also motivated his staff for doing needful by making all the arrangements to make the stay of VIPs comfortable. Rohit monitored over all activities to ensure smooth functioning. The chief guest and also the invitees expressed the happiness for good arrangements. Rohit played an important role on administrative aspects to make the show decent. Rohit also Conveyed his appreciation to all his subordinates concerned for their efficient performance an showing an example of team spirit. This led to increase in number of tourists in the city. No Comment to " SAMPLE TAT STORY ON ADMINISTRATIVE AND PERSONNEL MANAGEMENT: SET 24 "